Gunmen stormed a government building after multiple explosions in a continuing attack in Jalalabad on Tuesday, the latest in a series in the eastern Afghan city. At least two blasts were heard before the attackers entered the compound of the refugees and repatriations department, said Attaullah Khogyani, spokesman for the governor of Nangarhar province. Several foreign organisations are also in the vicinity. [post_ads]Before the attack began representatives of foreign donors and agencies were meeting department employees inside the building, Khogyani said. It is not clear if the meeting was still under way when the attackers entered the compound. Khogyani said a "large number" of employees had been rescued but there were no details about how many may still be inside. At least one of the men blew himself up at the gate and two others entered the building, the witness said. An AFP reporter could hear gunfire as security forces swarmed into the area. There was no immediate claim of responsibility for the attack, which comes three days after militants raided a midwife training centre in Jalalabad. The Islamic State group claimed responsibility for Saturday's attack that left at least three people dead and several wounded. 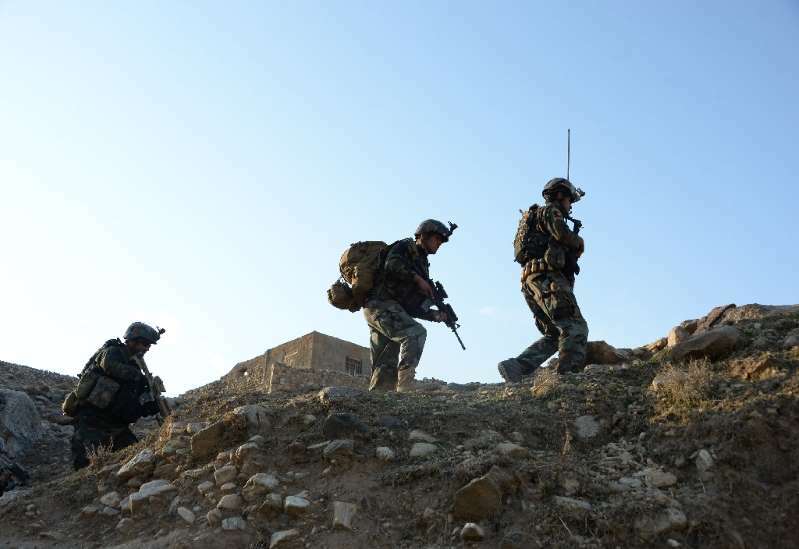 Jalalabad has been the scene of multiple attacks in recent months that have killed dozens, as US and Afghan forces continue offensives against militants. Most of the attacks were claimed by IS, which has a relatively small but potent presence in Afghanistan, mainly in the east and north. Government buildings are a common target. On July 11 gunmen raided an education department compound in the city, sparking an hours-long battle with security forces. A suicide bomb attack claimed by IS on a crowd of Afghan Sikhs and Hindus in Jalalabad on July 1 killed 19 people and wounded 21. IS first emerged in Afghanistan in 2014 and quickly established a stronghold in Nangarhar.